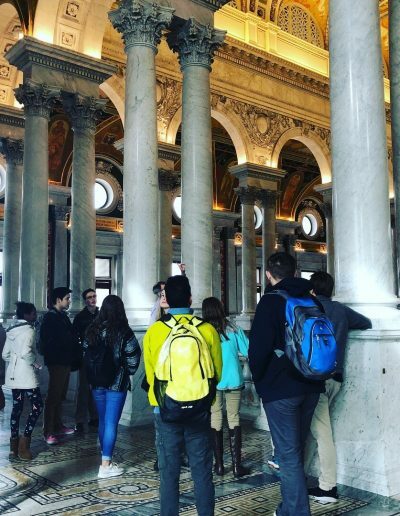 On Friday, February 9th, 2018, a group of Cortona Academy students, parents, and staff made their way into the cold weather in Washington, D.C. to start their day with a tour of the Library of Congress. 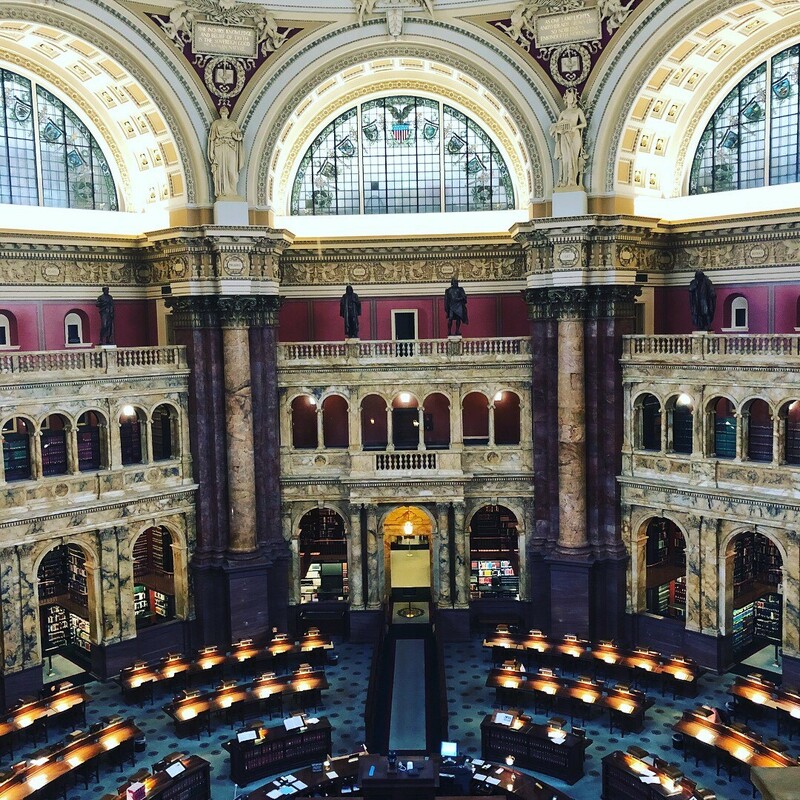 According to the Library’s web page it holds, “More than 38 million books and other printed materials, 3.6 million recordings, 14 million photographs, 5.5 million maps, 8.1 million pieces of sheet music and 70 million manuscripts, and 122,810,430 items in the non-classified (special) collections: for more than 164,000,000 total items.” The tour group was met by their docent and brought from the Visitor’s Center up the stairs to what used to be the old entrance. 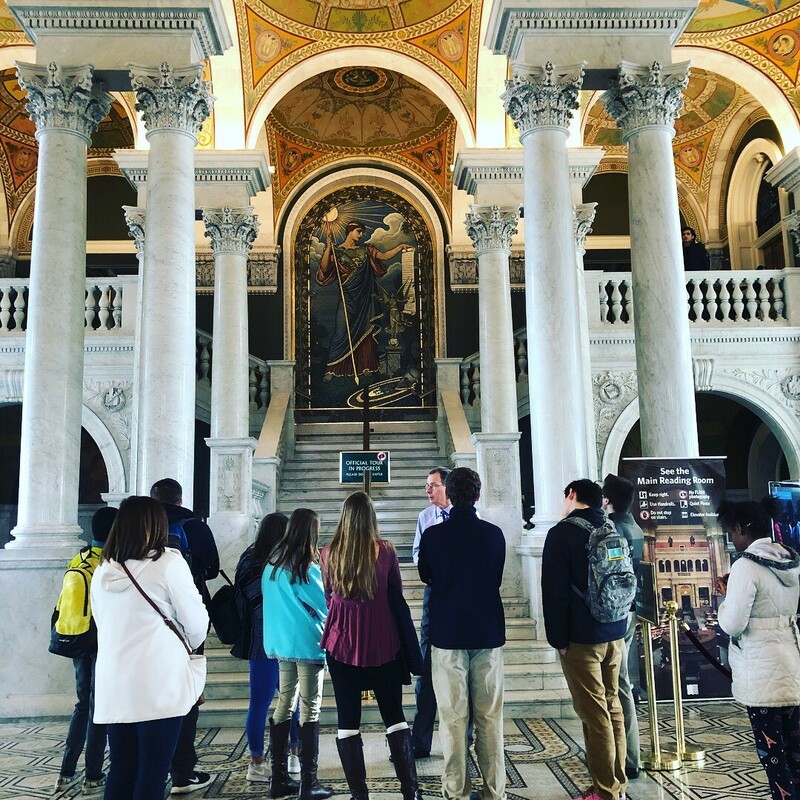 The students were amazed at the very artistic interior, which is one of the most decorated and intricate on the National Mall. Our tour guide spoke about how all the statuary and art was meant to evoke a feeling of knowledge, with each of the four sides of the room dedicated to a different field of study. The students got a full lesson on the beautiful art work, its meaning, and its importance. They also learned that the building was one of the few in history to come in on time and under budget, with money actually being returned to Congress after its completion! 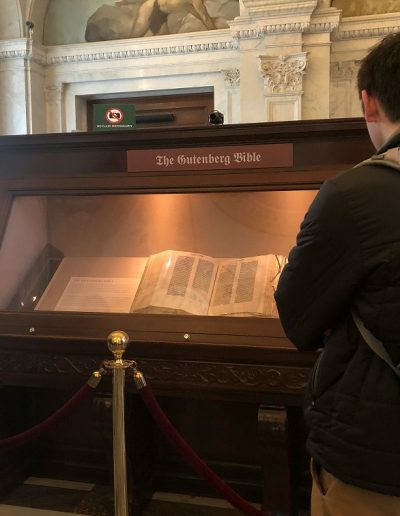 One of the first things the group saw was a copy of the Gutenberg Bible, which is grandly displayed on the main floor. 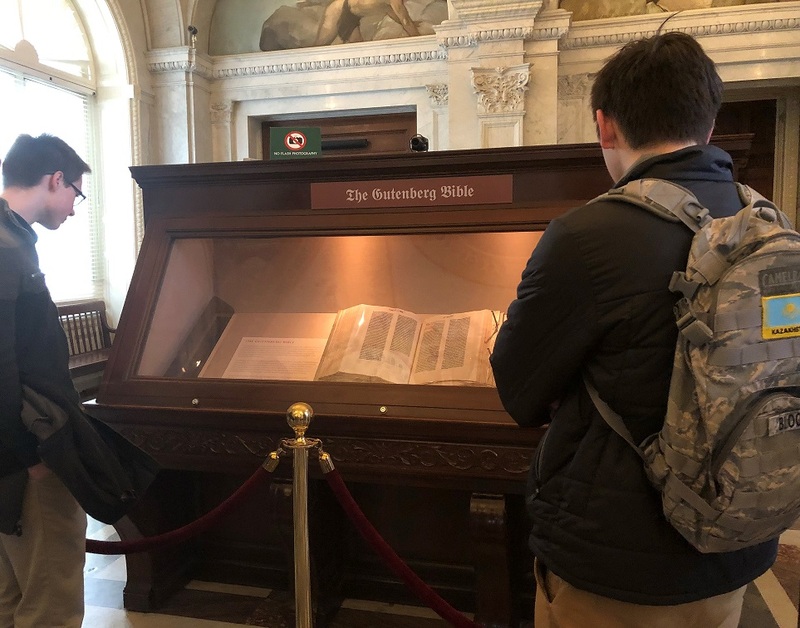 Our tour leader explained how precious and famous the Bible was and how it was the only copy held in the United States. The highlight of the tour was the main reading room. The group was lead to a small viewing platform where they could look down from above at the stacks and researchers working in the room. 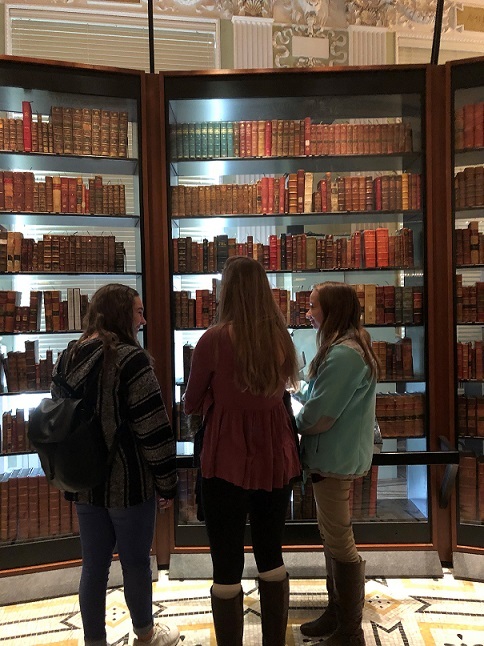 The students were amazed at the grandeur, with some students exclaiming that it really was a “temple of learning.” The group was amazed to learn that the library receives over 18,000 pieces of material each and every day to be put into the collection. Our guide told us that of that 18,000, about 12,000 make it into the collection, which is really an astounding number! 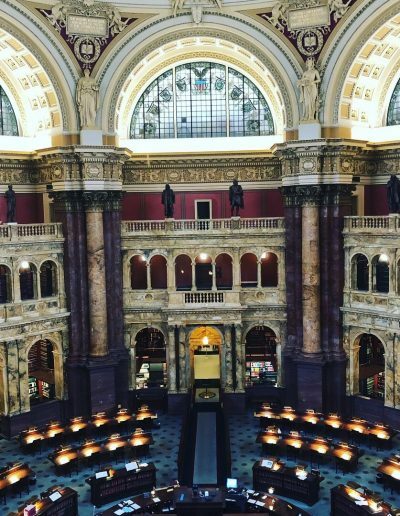 It was agreed that the most impressive piece of art was the mosaic of Minerva located outside of the reading room. The mosaic was inlaid with gold and brought to its current location in pieces. Even with the cloudiness of the day, the gold sparkled and drew your eye to it. 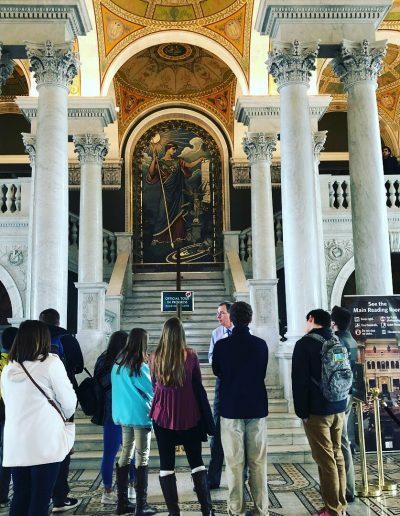 The group ended their tour visiting the recreation of how Thomas Jefferson, who donated the first initial collection to start the library, wanted his library to look. He envisioned a library in the round, with his desk in the middle. 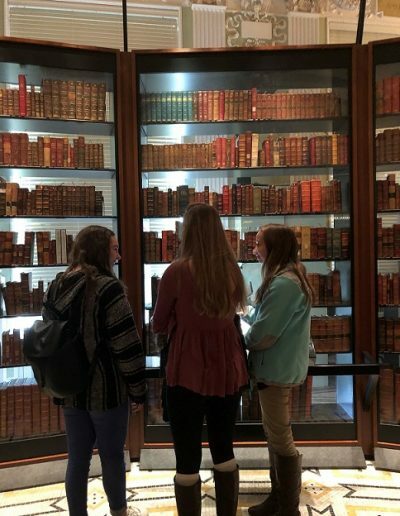 The students were interested to learn that much of Jefferson’s original collection was destroyed in a fire, and the library has been working since then to replace the lost volumes with exact replacements. 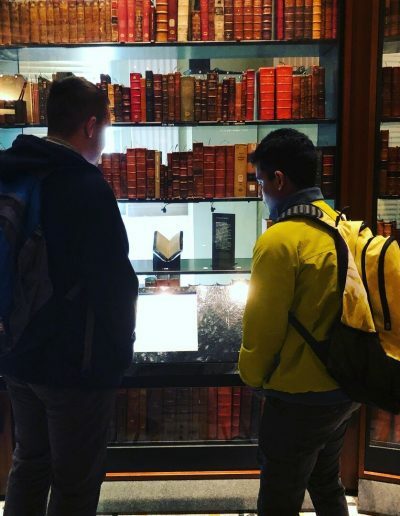 The books in the area were color-coded: those that were a part of Jefferson’s original collection, those that had been replaced with exact replacements, and those that had been replaced with a different edition of the book. 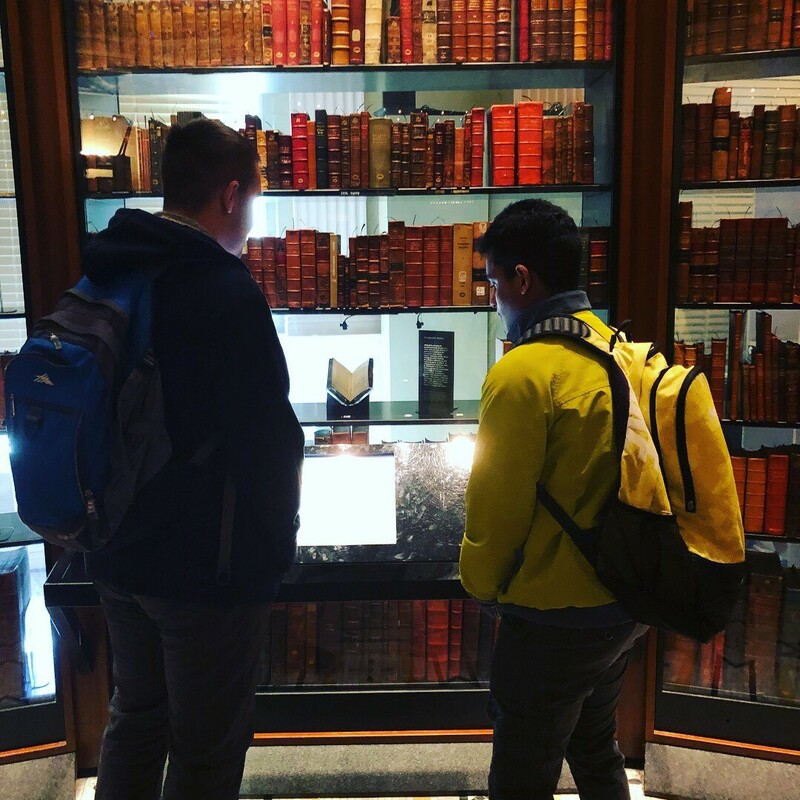 The group was also able to see which books they still are working on replacing; it is very easy to say that the library is working tirelessly to make sure the whole collection is intact. 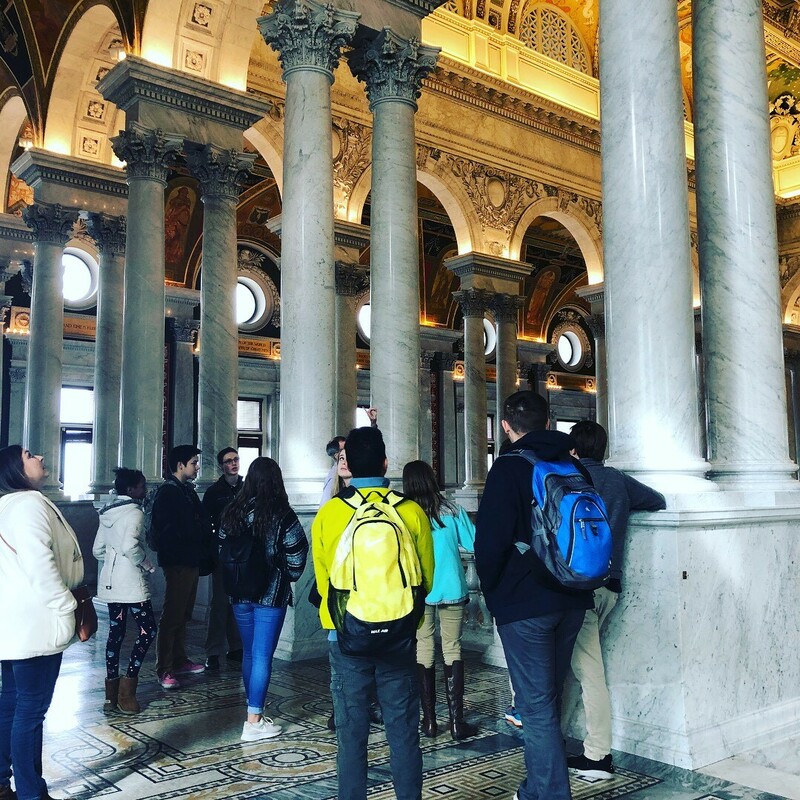 After a morning of quiet reflection inside the Library of Congress, the group made their way to the U.S. Capitol for lunch in their very delicious cafe. Following lunch the group went to the National Air & Space Museum located a few blocks down the mall. They let off some steam with the interactive exhibits and enjoyed a tasty treat of astronaut ice cream! Cortona Academy had another successful field trip!